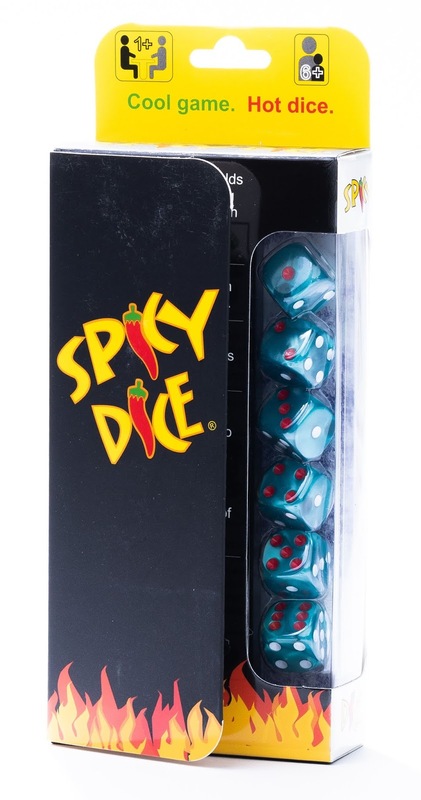 Spice up your Game night with Spicy Dice. Spicy Dice provided these products to me for review. The dice are 100% acrylic. 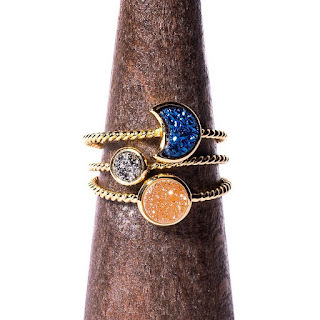 They are pearlized with rounded corners and edges. They look great and roll perfectly. 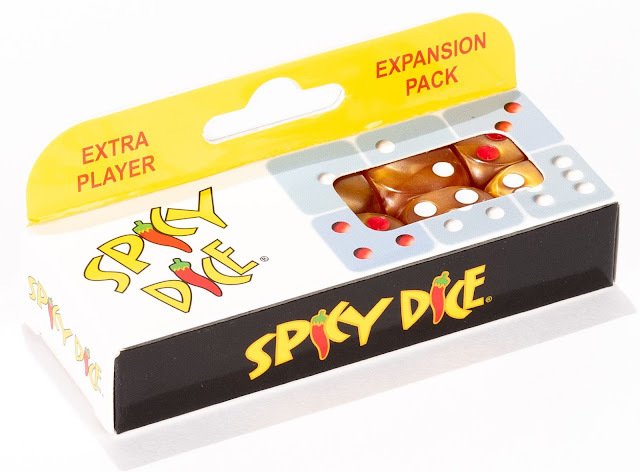 This is the Spicy Dice Main Game Pack. These are special dice that have some of the numbers colored red and and some white. The object of the game is to score as many points as you can in the ten boxes on your score sheet. You can score each box only once, but you can do them in any order you choose. First you roll all 6 of your dice. If you roll a red number, you can turn that die into any number you choose. But you have to do it before you roll again. You can re-roll any dice you choose. There isn't a limit of rolls per turn, but you only get a total of 30 rolls per game. When you choose to end your turn, you score your dice and mark it in the box of your choice. You also write down how many rolls you used on that turn. Once you have all of your boxes filled in, add in your bonus if you have one. If you use all 30 of your rolls before you've scored each box, you get a zero for the bonus and a zero in any unscored box. Add up your total score. Your game is now over, but the other players continue until they either use all of their rolls or have written a score in every box. The highest score when every player is done playing wins. If you play by the classic rules (which is what I just described) on main game pack is enough for an unlimited number of players if you share the dice. There are also rules for alternate versions where each player will need his own dice. You can get expansion packs to give each player his own set of dice in his own color. The dice come in several different colors. 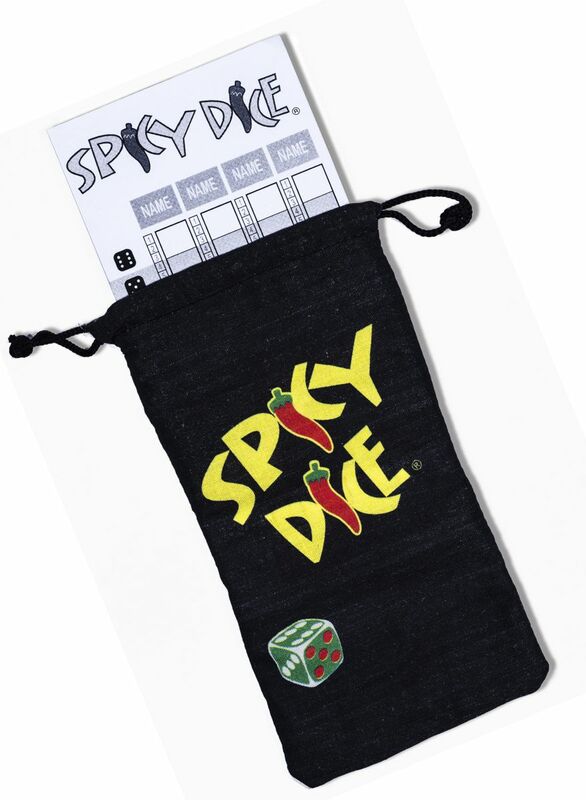 This is a pouch to store your dice and score cards in. It is included in the main game pack. The suggested retail price of the main game is $14.95 and the suggested retail price for the expansion pack is $5.95. You can find them on the Spicy Dice site, amazon and many independent toy stores. You can download pdf files on their site free of charge to print your own additional score cards and rules for 2 additional games. I thought that was really cool of them to give it to you free of charge. Overall, Spicy Dice is a really fun game that the whole family can enjoy playing together.